The new deodorant cream offers effective odor protection, minus the baking soda. It melts effortlessly into the skin, delivering powerful moisture absorbency and bacteria inhibitors to keep you smelling and feeling fresh throughout the day. - Club moss and Charcoal absorb excess moisture and naturally deodorize. 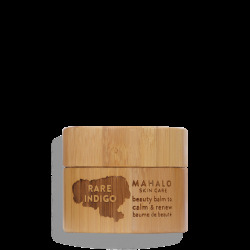 - Shea butter and Jojoba soothe and soften delicate skin. - Cajeput and Palmarosa essential oils discourage bacteria, fungus and microbes. - Please use within 12 months of purchase. 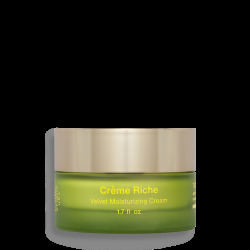 - Ensure that the Deodorant Cream is mixed completely before applying (some separation is normal), then scoop a little with your finger and very gently apply to the entire underarm area until completely absorbed. Go about your day, odor-free! - Our Deodorant Cream may arrive in a liquefied state, but don't fret! Soapwalla doesn’t use any unnecessary waxes or hardeners, so temperature fluctuations can alter the solidity of the Deodorant but in no way compromises the effectiveness of the product. Simply mix well, then pop the container in your freezer for about 20 minutes until resolidified. Your Deodorant Cream will be as good as new!